When an individual first learns to use a particular piece of technology they generally look for a “recipe” type of approach. In the T3alliance curriculum this looks like specific tasks or challenges that need to mastered. Soldering a wire so that a button is able to function, or setting up a circuit so that an LED bulb works on a breadboard are examples of these types of tasks. When your students are ready for something more, its time to introduce them to Design Thinking. Design Thinking is a process that, when followed, leads to solutions that take into account the human experience. Although the name design thinking and the movement that surrounds it has become popular during the rise of the Silicon Valley tech industry, at its core is the very old skill of empathetic listening and respectful problem solving. In the T3 alliance program we use this process to facilitate student involvement in real world problems that have the potential for meaningful and impactful experiences. The five stages of design thinking are described in this graphic. The first stage of this process, empathize, is by far the most critical to the success of the process. An instructor is always on the lookout for someone with a problem that is willing to ask for assistance in a way that gives a student interviewer a chance to understand the deeper human aspects. The person with the problem can be considered a client if they meet some key criteria. First, they know they are working with students and they agree to be kind and forgiving. Second, they need to understand a little about the design thinking process and agree to be available to communicate with the student and maintain interest throughout the testing process. Third they agree to appreciate the student for the effort they put into the process. In a normal upbringing for a child this roll might be filled by a grandparent who knows just how to ask for help in such a way that a child embraces the challenge and is eager to talk about and receive praise after the task is completed. The grandparent speaks to the child in a kind and loving way and knows that ignoring the child’s efforts will have negative consequences. Most members of a community will be happy to fill this roll and will take it quite seriously. Watch out for potential clients who are too busy, or ones that are such perfectionists that they want to do the work themselves. Its assumed that if a student was ever working with a community member outside of a supervised environment, a background check would be completed. Preparing a student for a positive empathetic interview experience involves preparing them with two levels of questions. The first level is the basic 5 w’s of journalism. Who are you, what is happening, when is it happening, where is it happening, and why is do they think it is happening. This level of questioning has the potential to bring up a lot of useful information. The second level is about digging a little deeper and uncovering how the client feels or would like users to feel in this situation. 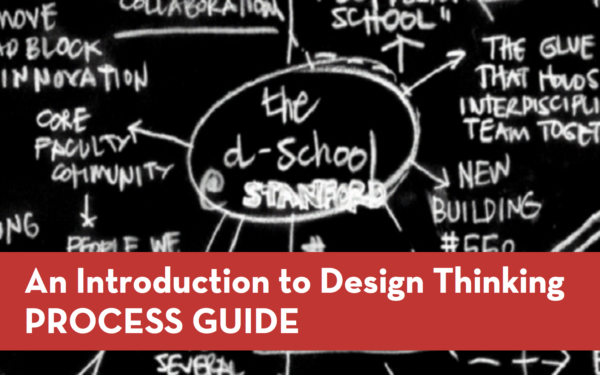 The design thinking process guide that is produced by the Stanford design school is an excellent resource that goes through each stage in detail. 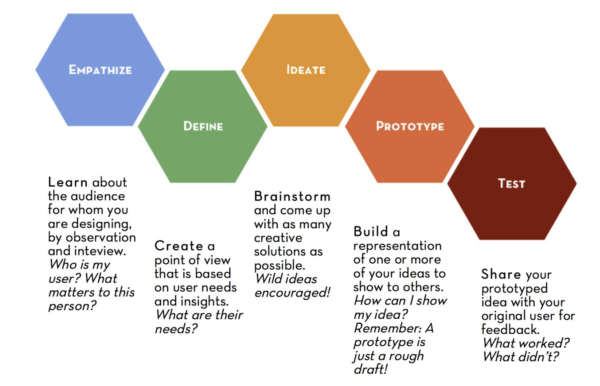 Here is a link to the design thinking process guide. In the T3 alliance program we introduce the idea of a grant proposal as a stepping stone to building a prototype. The mini grant proposal outlines the goals of the prototype, costs of the materials, the metrics for evaluation, and the deliverables (what they are responsible for reporting back) and is submitted to someone who ultimately signs off on the project’s costs. This step can obviously be skipped when the prototypes involve only the use of inexpensive consumable materials. Assembling the prototype with purchased materials is an heavy experience for many students. There is a sense of responsibility and ownership that is healthy. Its an opportunity to be communicative with team members and ask for help when its needed. A poorly soldered electrical connection can cause lots of headaches further along in the process. During the testing stage its a good idea to bring the client back in and experience the product or process design. In some cases, refinement will need to occur, in others, it will be deemed successful. A genuinely appreciative client will have a huge impact on a student’s sense of accomplishment. This process is repeated as often as possible throughout the t3alliance program. Each successful iteration of this process that a student engages in will engender a sense of efficacy and pride that will enable them to take on projects that require greater levels of collaboration with team members. Posted in Design Thinking, Uncategorized.